ARE YOU READY TO BE PERSECUTED FOR CHRIST’S SAKE? It’s coming. 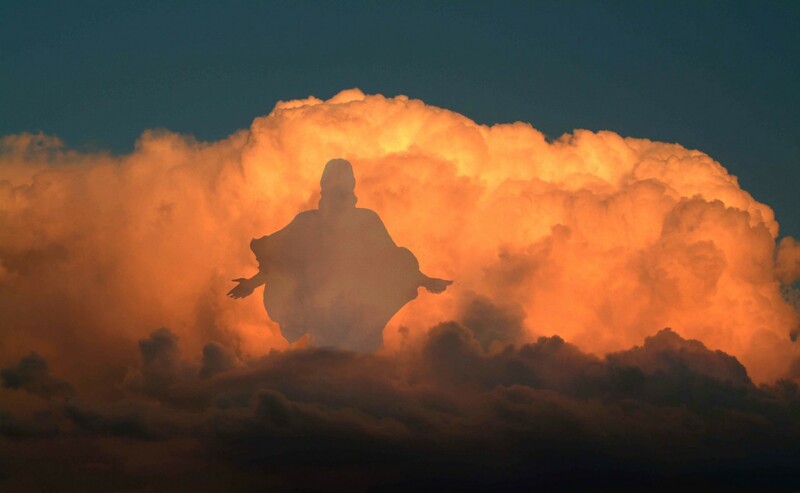 All of us who truly belong to the Lord Jesus Christ know that it’s coming, and it’s coming fast. Every move and decision by people in authority over us is calculated. Nothing is random. 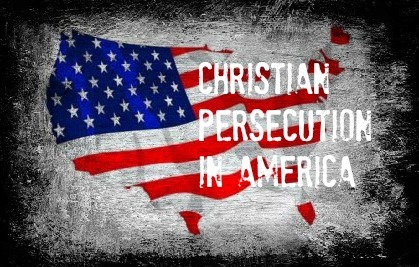 I am speaking of the coming persecution of Christians in America. I am not speaking of the members of ISIS in our country, even though they pose a terrifying threat. I am speaking of the well thought out agenda of the god-haters, the liberals, who have taken our First Amendment right and twisted it. That’s the devil’s specialty – twisting words. The liberals have used the media to turn what is good, into bad, and vice versa. They know that the real Christians will not denounce the Holy Bible nor any part of it. The homosexual community has been compared to the plight of black people of America. To me, this is ludicrous. Keeping black people down and segregating them was evil, and needed to be fixed. Homosexuality is not a race or a religion or an ethnic group. They are people who have chosen to live in sin. I know that writing this will enrage those who want the world to believe that homosexuality is normal. It is not normal. It is deviate and sinful behavior. They say if you say something over and over, then people begin to believe it. I think that is true. The media has been cheer leaders for gay marriage for a very long time. Look where we are now! Soon, it will be legal in all States, if the liberals have their way. How dare the courts change God’s Holy Word, stating that marriage is between one man and one woman! We are to love the homosexuals, but we are not called to condone their sinful lifestyles! God loves these people, but He abhors their lifestyle. It’s starting with Christian owned bakeries who refuse to make cakes with two men or two women on top. The Christian owners of these businesses are standing firm on the Word of God. The liberals are crying “Hate speech!” and they are being heard. Satan is orchestrating this whole drama. He is very crafty and he knows what works. I can just imagine him thinking “I will make Christians the enemy of America.” And that’s exactly what is happening. Last January in Germany, Pastor Olaf Latzel, preached a sermon that rocked Germany to its core. What did he say in this sermon? He said that Christians worship the true God and that He is NOT Allah! He preached against Chrislam and also reiterated to his congregation that Jesus is the only way to heaven. His sermon was confiscated by the authorities. He was reprimanded by the Lutheran church for his sermon. The authorities held onto his sermon, trying to figure out what to do with Pastor Latzel. Recently, they said that they would leave him alone at this point. You think this isn’t coming to America? Remember the mayor of Houston requesting a pastor’s sermon who had preached against homosexuality? This is how they will begin to shut down churches. Churches will lose their 501C status with the government. But that is really a small problem for us right now. I believe that we will eventually be incarcerated. I believe there will come a time when children and neighbors will turn us into the government, because we are considered evil and “intolerant” (not politically correct). Then we will have to worship in our homes – discretely. But many of us will be jailed or worse. It’s not the first time that Graham, the son of renowned evangelist Billy Graham, has issued a warning for Christian Americans. He previously warned that America’s morality was crumbling because President Obama “defends Islam and chastises Christians, rebukes our allies and befriends our enemies, and fully supports gay marriage and abortion but denies the religious freedoms of those who don’t agree,” in a post on Facebook. He has been outspoken in his critique of Obama’s leadership and that of nearly everyone in Washington, especially when it comes to the battle against ISIS. Graham also encouraged Christians to get involved in politics and run for office in order to do God’s will. To understand the demonic forces at work against Christians in America, we need only to look at the media and their love and support of Islamists – yes, even the jihadists! There is no sense in this at all. These same people despise Christians for our stand on moral issues. But they have hardly a word to say about ISIS, Hamas, Al Qaeda and Hezbollah, as they behead and slaughters millions of Christians. The mainstream media HATE Israel. As born again believers in Christ, we can see clearly the satanic influence on the left wing media. It is almost like they are under a spell – “Strong Delusion” probably sums it up best. Most of these people would call themselves atheists. I have often said that I do not believe that there are atheists. I believe that these people are God haters. Why would people who believe that God is a fantasy, be so adamant against His followers? Why wouldn’t they just call us nut cases, and move on? Yep, it’s coming. Are you ready for this? I consider it to be an honor to stand up for Jesus and His Word. Am I a bit anxious about possibly being in jail? Well, of course! But God will give each of us what we need, when we need it.